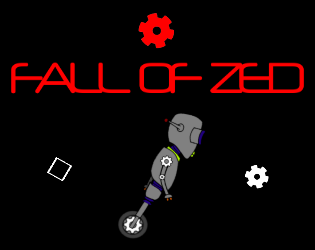 Fall of Zed is a simple 2d old school platformer with procedural generation of level, based on the concept of a robot rebelling to his world. The robot needs to know what type of ground lies ahead of it, it has to collect good gears, to avoid bad gears and to destroy sentinels. Available under the CC BY-ND license.